Perseus boosters Eagle (X4-01) and Columbia (X4-02) are being prepped for launch on Augut 13th. This launch will also mark the first anniversary of their maiden voyages as well. (The first anniversary will actually happen on the next day – August 14th). Eagle last flew at the O’Reilly farm on January 16, 2011 on mission PLS-030 in an attempt to fly to 2,000 feet altitude. Eagle managed to get to about 1800. Strong winds that day prevented Eagle from flying straight up, thus making the apogee of flight at a much lower altitude. 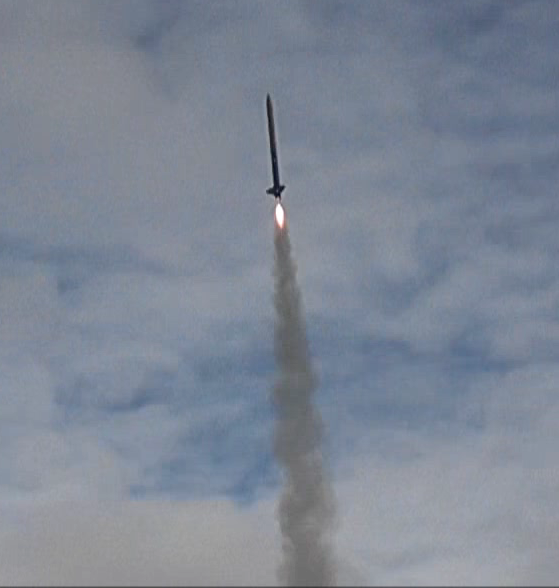 I still consider that flight a success as Eagle managed to make a higher altitude than any of my other rockets so far! Columbia’s last flight was on November 6th and 7th (PLS -024, 025, and 028) in Dayton, OH during TORC Fest II. Those missions successfully demonstrated the ability of the Perseus rocket design to handle flights under the full power of the E-18 and F24 motors. The August 13th missions will involve launching on the E-18 motors, and both rockets will carry cameras on board. The objective, if possible, will be to capture pictures of the treetops where my rocket “Gallifrey” was last seen. The thinking being that it may be stuck in the top of canopy of the mini forest, and if so, the red parachute will be visible. Once located, it will make it much easier to recover sooner…otherwise it’s a long wait til fall when the leaves drop. In the meantime, the countdown has been started for the August 13th launches at the Ray Harmon flying field in Aurora!